Adrienne Rich believed that politics is intertwined and innate in every human. Politics are derived from what and when humans are emotional about. In 1969 Rich explored this aspect with her readers in the poem “The Blue Ghazals” when she writes, “The moment when a feeling enters the body/ is political. This touch is political.” Emotions and passions elicit political activism. Rich embodied this message by voicing her concerns through her poetry. One example is in her poem “Implosions,” placed around the time of the Vietnam War, suggests her discomfort about continuing the Vietnam War. The speaker of the poem has ways in which to stop the war. Rich writes, “My hands are knotted in the rope / and I cannot sound the bell” and “The foot is in the wheel” (13-14, 17). In each phrase the speaker has a way to stop the death, but refuses. It is only after it is all said and done that the speaker asks, “I’ll have done nothing / even for you” (22-23). When writing this poem, Rich was advocating that the people that could stop the war, chose to hold it out despite the continuing death toll. Rich wants the people holding back to do something, to have humanity for those that are dying. This poem is a great example of how emotion has driven Rich herself to write about political moves she does not agree with. She has taken her own wisdom to heart to expose her emotions, and essentially political position, about the seemingly never-ending Vietnam War. The inseparable nature of feeling and politics was not only held by Rich, but one of her contemporaries, Audre Lorde. Lorde wrote in her essay, Poems are Not Luxury’s, about the interconnection between everyday life and emotion to a female responsibility to take action based on those initial feelings. She advocates for active participation of females in order to make this world a better place for generations to come. Lorde writes, “For there are no new ideas. There are only new ways of making them felt, of examining what our ideas really mean (feel like) on Sunday morning at 7 A.M., after brunch, during wild love, making war, giving birth; while we suffer the old longings, battle the old warnings and fears of being silent and impotent and alone, while tasting our new possibilities and strengths” (285). Essentially Lorde argues that there are no new concepts, only the way in which individuals perceive, experience, and act on the personal and intimate emotions. It is an individual’s responsibility to act on these feelings, which is in accordance with Rich’s view. Lorde, Audre. “Poetry Is Not a Luxury.” Chrysalis: A Magazine of Female Culture, no. 3, 1977. Rich, Adrienne Cecile. “The Blue Ghazals” The Will to Change: Poems 1968-1970. W.W. Norton and Company, 1971. Rich, being continuously involved with politics, felt very strongly about the war in the Middle East. While attempting to put the civilian’s lives into perspective for Americans, shows her empathy for the civilians of the Middle East in her 2001 poem “The School Among the Ruins.” She stresses that American’s cannot sympathize with the fear that other cities are experiencing. America has never been the ground in which constant daily fighting takes place. Rich writes, “Beirut. Baghdad. Sarajevo. Bethlehem. Kabul. Not of course here” (1). Rich attempts to help Americans have empathy for the citizens of these countries. She puts this sense of loss and fear into the perspective of their own personal lives when she writes, “Today this is your lesson: / write as clearly as you can / your name home street and number / down on this page / No you can’t go home yet” (49-53). The teachers have to try and find families of the students because they are lost in the constant devastation of war. Essentially Rich is asking America, “How would you feel if this story was of American children?” Fighting from war not only affects soldiers and politicians, but also children and daily lives of civilians. The uncertain setting in Rich’s poem confronts the idea that these children are having their lives pulled out from under them in exchange for a constant state of fear and hunger. Rich, Adrienne Cecile. The School Among the Ruins: Poems 2000-2004. New York: Norton, 2004. Adrienne Rich Reading "Diving into the Wreck"
In Rich’s book Diving into the Wreck there was also a poem titled “Diving into the Wreck.” The poem illustrates a quest to rewrite the cultural understanding of gender. The poem seems to be describing a diver examining what they have only known as a myth. Yet, half of the poem is devoted to the steps the diver takes in order to get close to the wreck, rather than actually seeing the wreck. Alice Templeton wrote, “the poem’s attention to the process of exploring the wreck and not the analysis of the wreck.” This analysis is about the routine of the diver in order to reach the objective. Further in the poem Rich writes, “I am she: I am he” (77). This makes the speaker androgynous and puts both sexes at the same level, as if differences were non-existent. More broadly, Margret Atwood writes, “This quest- the quest for something beyond myths, for the truths about men and women, about the ‘I’ and the ‘You,’ the He and the She or more generally . . . about the powerless and the powerful.” She suggests that the objective of the poem, and other’s in the collection, are about finding the actualities of gender differences rather than what has been discerned in the past. Instead of letting society and culture decide the differences, or lack of differences, the diver takes it upon themselves to find the certainties and to describe the process in how they will go about this. This personal responsibility for cultural issues is shown when the speaker states, “the thing I came for: / the wreck and not the story of the wreck / the thing itself and not the myth” (62-64). Rich has taken the idea of a quest and applied it to the connotations surrounding gender. Rich wanted to take the idea of gender and equalize the differences. Rich, Adrienne Cecile. “Diving into the Wreck,” Diving into the Wreck: Poems 1971-1972. Norton & Company, 1973. From Modern American Poetry Website, Templeton, Alice. The Dream and the Dialogue: Adrienne Rich’s Feminist Poetics. Copyright @ 1994 by the University of Tennessee Press. From Modern American Poetry Website, Atwood, Margaret. The New York Times Book Review (1973). “In Those Years” was written in response to the attitude during the Reagan administration and Rich’s own feelings toward the public. Throughout the administration the American society was becoming increasingly self-absorbed and less political. Rich’s frustration was in response to a contradiction to her morals. She strongly believed it was the utmost importance that the American people are involved in politics and yet many were overly concerned with themselves, ignoring politics all together. Rich reproduces this self-centered attitude by writing, “. . . we lost track / of the meaning of we, of you / we found ourselves / reduced to I” (1-4). Skillfully, Rich also is able to illustrate how the individual attitude creates a separation between personal and political. Although people were creating this separation Rich stresses that no matter how far that separation may be, the two worlds will cross again. Rich writes, “we were trying to live a personal life . . . But the great dark birds of history screamed and plunged / into our personal weather” (7, 10-11). Rich believed that emotion and politics were connected. Using that logic, no matter how individual a life becomes it will always be connected to politics. As long as emotion is around, politics will follow, interrupting the individual life. Adrienne, Rich Cecile. “In Those Years” Dark Fields of the Republic: Poems 1991-1995. W.W. Norton & Company, 1995. In 1971 Rich wrote “When We Dead Awaken” exploring the idea that literature is as constrained for females as every other facet of life. Rich analyzes past literary works and identifies that there is a constant among female writes. When analyzing the works of Sylvia Plath and Diane Wakoski she writes, “It strikes me that in the work of both Man appears as, if not a dream, a fascination and a terror; and that the source of the fascination and the terror is, simply, Man’s power-to dominate, tyrannize, choose, or reject the woman” (348). This power of man over woman is something that Rich finds in some of her earlier work as well. Rich states that she was taught to write poetry so it pertained to everyone, which meant not to women (351). Rich writes, “I hadn't found the courage yet to do without authorities, or even to use the pronoun “I” – woman in the poem is always “she” (357). While using the pronoun “she” Rich was trying her best to set a distance between herself and the subject of her poems to ensure that her work could pertain to many. She attributes the liberation of women in the arts to the second wave of feminists. Adrienne, Rich Cecile. “When We Dead Awaken: Writing as Re-vision.” Claims for Poetry. Ed Donald Hall. Ann Arbor: U of Michigan P, 1982. Despite Rich’s view of marriage as a constraint, she married a Harvard professor of economics, Alfred Conrad, in 1953. Starting when Rich was 24 years old the couple had three boys together all within the span of four years. Rich was living the expected life a housewife and mother. In 1963 Rich published the book Snapshots of a Daughter-in-Law: Poems 1954-1962, published ten years after her marriage. Rich presents ideas of the power awakening through her own sexuality and the constraints imposed by society holding back this sexuality of females. One example is of the poem “Snapshots.” Rich creeps out of the cave of ignorance to find courage in her female form by writing, “. . . a woman, partly brave and partly good. . .” (73). Rich is finding that her feminine strength does not quite fit into the constructed role assigned for women. Secondly, Rich addresses her distaste for the labels that women are given if they astray from the expectations of society. She writes, “. . . hence she was labeled harpy, shrew and whore” (76). Due to the speaker's inability to squeeze into designated roles she is given negatively charged labels. Through Rich’s poems, spanning over the 10 years of her marriage, she starts to feel uncomfortable in her role as the typical woman. Adrienne, Rich Cecile. "Snapshots." Snapshots of a Daughter-in-Law: Poems 1954-1962, Norton & Company Inc. 1963. 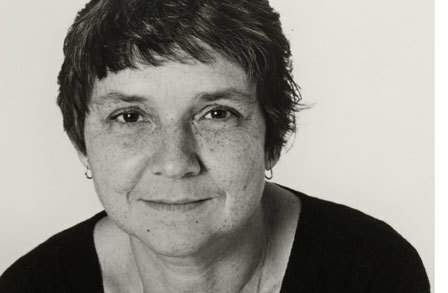 Adrienne Rich was born in Baltimore Maryland to parents who were adamant about the arts and Rich's involvement. With the urging of her father Rich excelled academically and eventually attended Radcliffe College. It was in her last year, at the age of 21; Rich published her first work, A Change of World (1951). For this work Rich received the Yale Series of Younger Poets award, setting off her career as a poet and essayist. In Rich’s first work, A Change of World, there is preface which gives a glimpse into the type of poet Rich will become. One poem in particular, “Aunt Jennifer’s Tigers”, Rich shows her disgusted reaction to the impression she gets from the restraining bonds of marriage. She illustrates this detest in the line, “The massive weight of Uncle’s wedding band” (7). The ring that her aunt wears is an immense weight that restricts her aunt. Similarly, Rich suggests that the ring also represents the controlling nature of marriage when she writes, “Still ringed with ordeals she was mastered by” (10). Rich suggests that through the experiences of marriage her aunt was restrained. This cynical perception of marriage is only a prelude to the work that Rich will produce later in her career when she advocates for feminism. Rich, Adrienne Cecile. “Aunt Jennifer’s Tigers.” A Change of World. Yale University Press, 1951. "I am a feminist because I feel endangered, psychically and physically, by this society and because I believe that the women's movement is saying that we have come to an edge of history when men- insofar as the are embodiments of the patriarchal idea- have become dangerous to children and other living things, themselves included."